HONOR has launched its latest flagship phone, HONOR View20 in Paris. HONOR highlighted 5 World’s First features on the View20 including, 48-megapixels camera SONY IMX586, 25-megapixels in-screen front camera, 7nm HUAWEI HiSilicon Kirin 980 with dual NPU, AI Triple WiFi Antennas and the aurora nanotexture design. “Around the globe, HONOR’s View series smartphones are winning over professional reviewers and fans alike by offering groundbreaking technology and industry-best performance. HONOR’s fans are incredibly active and dynamic, and they require smartphones which offer the best performance. 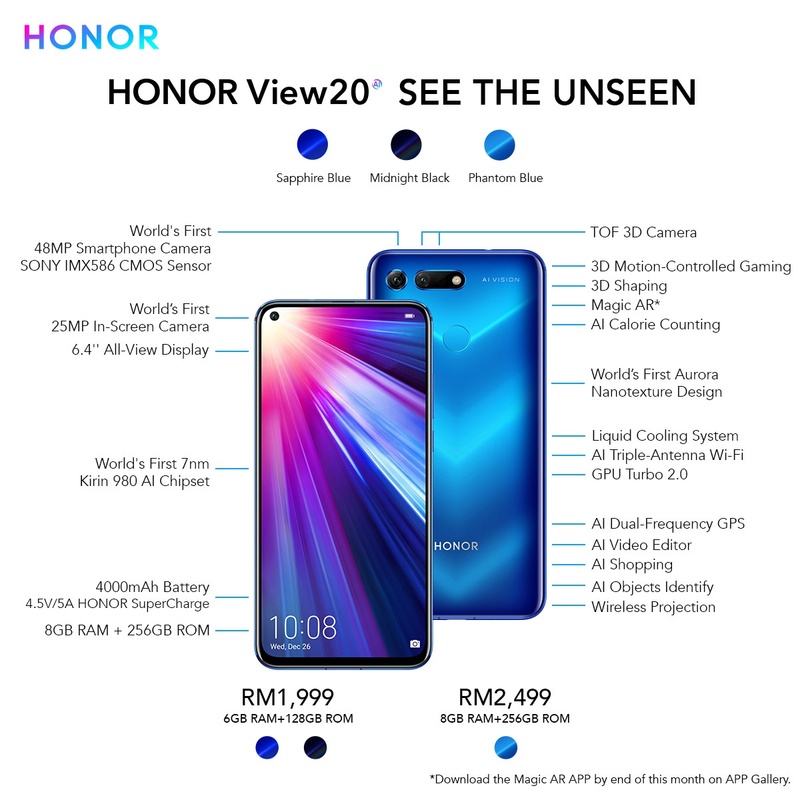 HONOR View20 is designed with their needs in mind. The reviews from CES 2019 are in, and we’re excited to now offer this must-have phone to users worldwide!” said Mr. George Zhao, President of HONOR. The HONOR View20 rear camera is the first phone sports SONY IMX586 48-megapixels with a 1/2-inch large CMOS, equivalent 1.6μm in Quad Bayer array. With the assistant of the Kirin 980 SoC, it able to produce photos with high details and clarity with the AI Ultra Clarity Mode. 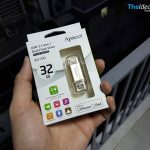 The camera takes several 48-megapixels pictures at once and collates the best details from each photo to create one perfect 48-megapixels picture. Another camera sensor next to the 48-megapixels sensor is the 3D TOF (Time of Flight) camera that capable to shoot a new dimension in photography and videography. It also works as a motion-controlled gaming console similar to Microsoft Kinetic. Coming to the display, the HONOR View20 sports a 6.4-inch LCD display with a punch-hole notch on top left that houses a front facing 25-megapixels camera. The display offers a Full HD+ resolutions and an outstanding 91.8% screen-to-body-ratio. 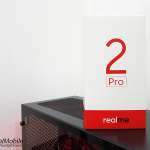 Performance is undoubted as it powered by 7nm Kirin 980 with liquid-cooling system and offers up to 8GB of RAM and 256GB on board storage. HONOR also collaborate with Fortnite to bring high-quality experience that runs at 60 fps on the HONOR View20. View20 is packed with generous 4,000 mAh battery and supports HUAWEI SuperCharge (22.5) and runs on HONOR Magic UI which basically EMUI 9.0 based Android 9 Pie. The HONOR View20 will be available for purchase starting 26th January 2019 onwards. There’s gonna be a roadshow taking place in One Utama, Petaling Jaya on that days till 27th. Malaysia will get 2 variants; 6GB+128GB (Midnight Black & Sapphire Blue) and 8GB+256GB that comes in exclusive Phantom Blue color co-designed with Moschino. It will be priced at RM 1,999 and RM 2,499 respectively. First 200 early birds will receive a premium free gifts worth RM 700 that consist of a brand-new HONOR Watch Magic and a backpack. 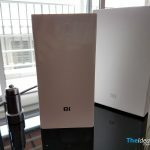 Follows by 800 Honor View20 owners will receive HONOR Band 4 and a backpack. 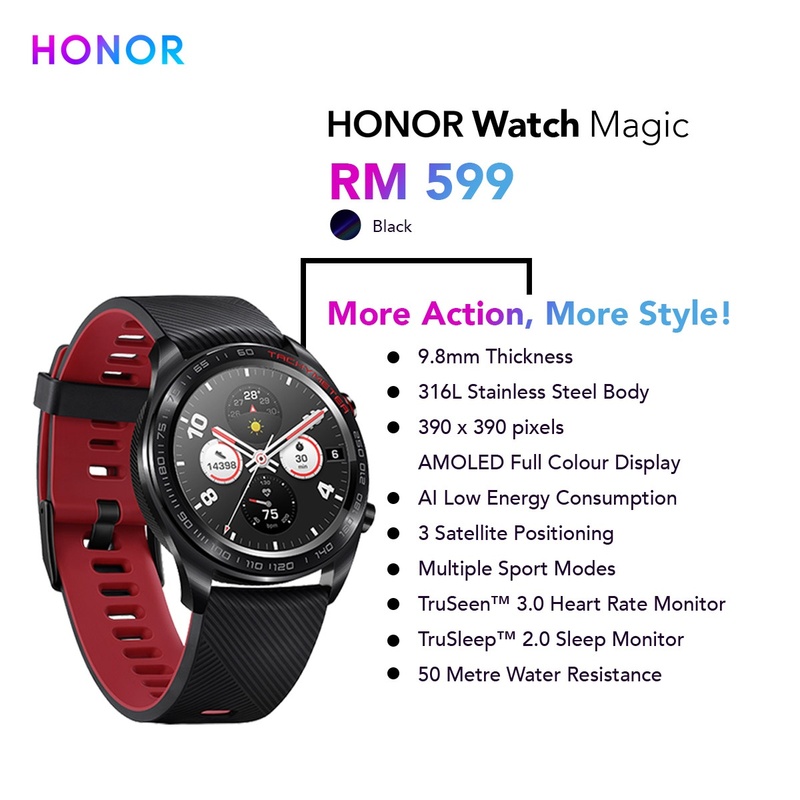 HONOR Watch Magic will also unveiled during the launch and will be available to purchase on 26th January 2019 onwards for RM 599.